From the days of early tribes that hunted and fished to the tourists who later relaxed on the beaches, St. Simons Island has been part of the changing landscape of Georgia's coast. When Gen. James E.
Oglethorpe established Fort Frederica to protect Savannah and the Carolinas from the threat of Spain, it was, for a short time, a vibrant hub of British military operations. During the latter part of the 1700s, a plantation society thrived on the island until the outbreak of the War Between the States. Never returning to an agricultural community, by 1870 St. Simons re-established itself with the development of a booming timber industry. And by the 1870s, the pleasant climate and proximity to the sea drew visitors to St. Simons as a year-round resort. 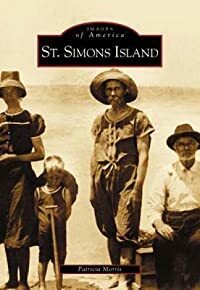 Although the causeway had brought large numbers of summer people to the island, St. Simons remained a sleepy little place with only a few hundred permanent residents until 1941.